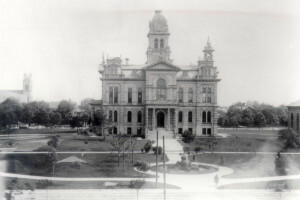 Erie County was officially created by an act of the Ohio Legislature in 1838. It was formed from parts of Sandusky and Huron counties, and is named for the Erie, a tribe of Native Americans who once lived along the south shore of Lake Erie. Including Kelleys Island, it is the second smallest of Ohio’s 88 counties in land area, only 252 square miles. With 374 square miles of Lake Erie and Sandusky Bay, the total legal size is 626 sq miles. Click HERE to discover our unique history. How much do you know about Erie County and its remarkable history? Take our quiz and see if you are a Newbie or a real Historian. 2019 – FIVE new questions are now online – test YOUR knowledge. It is the best way to keep up with all the ‘historic’ news in Erie County and surrounding areas. We know that you have walked down our streets and wondered about some of the houses and businesses that you see. Here is your chance to explore the various cities, townships and villages in Erie County through these amazing walking tours. View before and after pictures, discover tidbits about the old houses and buildings that you see, and explore the many hidden treasures that only the eye (or a camera) can capture. 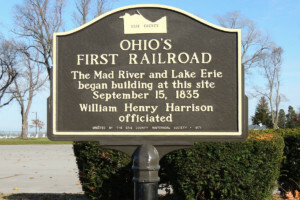 The Erie County Historical Society has worked hard to make sure that the Historic Markers located in Erie County are maintained. We have over 70 historic markers in Erie County. Some mark the locations of buildings or sites that are no longer there, others celebrate the long and varied history of buildings that are still in use. It is truly a trip down memory lane. We recently had several cleaned, stripped and repainted. Our historic sites should never be neglected. April 7 — Tour the historic E & K (Engels & Krudwig) Winery at 3:00 followed by a social hour at the Bait House Brewery. Reservations are required – only 25 people per tour. A second tour will be scheduled if there is enough interest. click HERE for more details on this event and a little history about Wineries and Breweries in Erie County. there will be a food truck onsite. 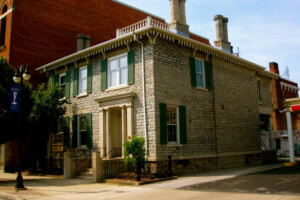 June – Join us for “A Walk Through History On Wayne Street” presented by Ed Stout, site manager of the Cooke-Dorn House and a board member of the Old House Guild of Sandusky. Many of these houses are on the tour or are located nearby. November 17 – Annual Meeting & Banquet at the Sandusky Yacht Club – Leslie Korenko will present the history of Kelleys Island. This was once Sandusky’s Post Office, now it is the home of the Carousel Museum. The number and quality of museums in our area is impressive and the Erie County Historical Society encourages both residents and visitors to explore these museums and historic sites. 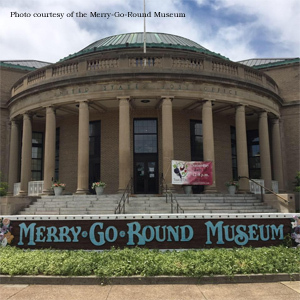 Click HERE to discover our amazing inventory of Museums and Historic Sites. There are over 30 historic sites and history museums in Erie County – ranging from the magnificent Glacial Grooves on Kelleys Island to the Firelands Historical Society, the oldest history museum in Ohio. Isn’t it time you explored our history? 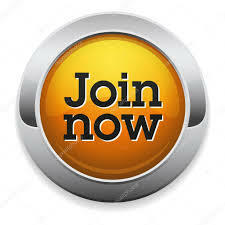 JOIN our organization with a simple $10.00 a year membership.